Apple has updated their Find My Friends app for Apple iOS 7, this follows on from the updates last week to Apple’s iTunes U and iBooks. 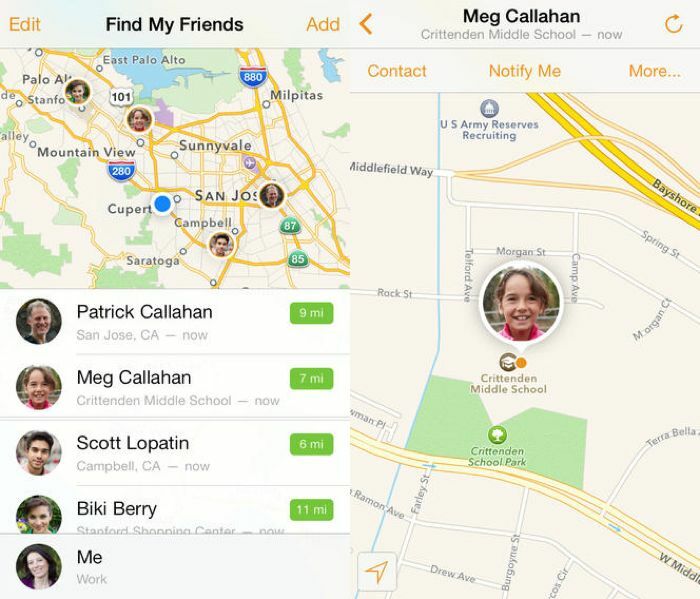 The latest version of Find My Friends will work with the iPhone, iPad and iPod Touch running Apple iOS 7 and above, and the new design looks much better than the previous version. Find My Friends allows you to easily locate friends and family using your iPhone, iPad, or iPod touch. Just install this free app and sign in with the Apple ID you use with iCloud. Adding a friend is easy — just choose from your contacts or provide an email address to send an invitation. When your friend accepts your invitation using the Find My Friends app on their device, you can start following their location. Your friends can request to follow your location the same way. The updated Find My Friends app is available as a free download from Apple’s iTunes App store, this is the last of Apple’s own apps that have been updated to support iOS 7.